Sadly I don’t own a wood-fired oven so my little pizzas (for that is what pizzette are) lack a little of that authentic charred flavour. However, they are still delicious and totally worth making. 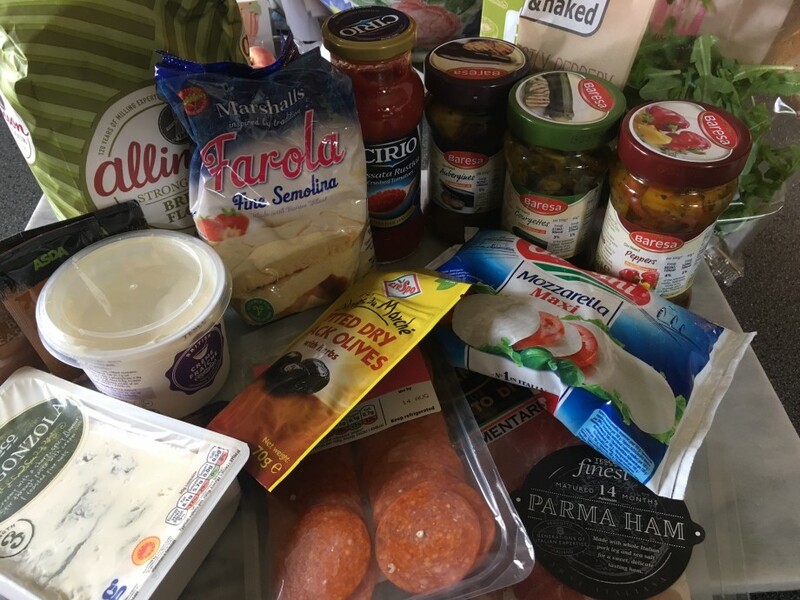 I have suggested two toppings- a classic margarita and a white pizza with crème fraiche, gorgonzola, parma ham and rocket. To the margarita you could add all sorts of things, pepperoni, mushrooms, seafood, roasted courgettes and aubergines to name but a few -but please never, ever pineapple. For the dough, put the flour in a mixing bowl and pour the salt on one side, the sugar on another side and the yeast in the centre. Mix the olive oil with 320ml water and pour into the bowl. Stir the ingredients together and mix to a smooth dough. Either knead with an electric dough hook for 5 minutes or turn the dough out onto a floured surface and knead by hand for 10 minutes. Lightly oil a large bowl and put the dough in the bottom. Cover with cling film and leave in a warmish place for about 1 hour until risen and twice the size. Meanwhile make the margarita tomato topping. 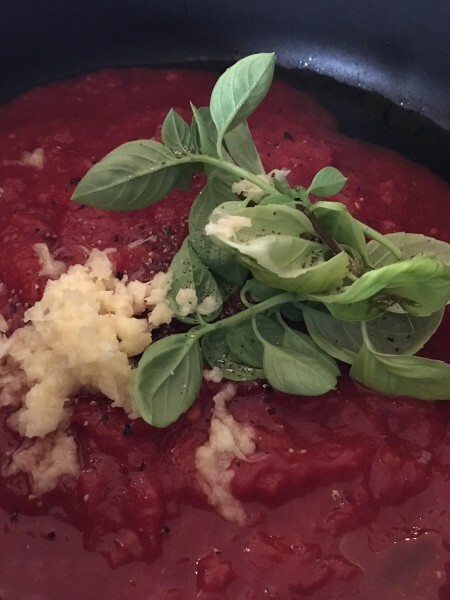 Put the passata, garlic, basil and olive oil in a large saucepan (it takes less time to reduce in a large pan) and cook for about 10-15 minutes until the tomato has reduced to a thick paste. Take off the heat and set aside. Heat the oven to 220˚c, fan oven, 200˚c, mark 7. Dust 3 baking sheets with a little flour and sprinkle over a handful of semolina or polenta onto each sheet. Knock back the dough and turn out onto a floured surface. Knead for a few minutes then divide the dough into 8 even-sized pieces. Roll out each piece to a rough circle (I prefer a wonky shape rather than a perfect circle). The dough should be no thicker than 3-4mm thick. Place on the baking sheets. 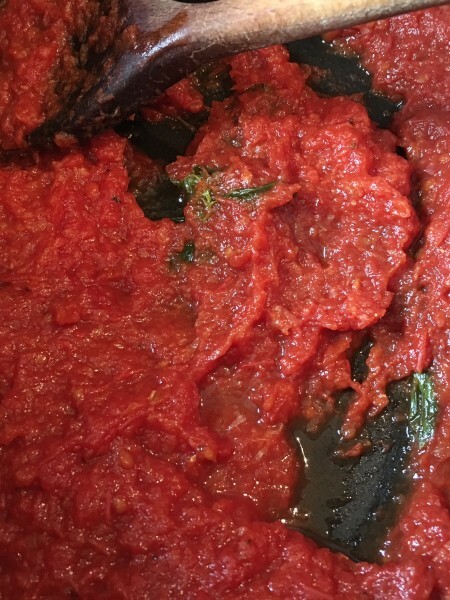 Top four of the pizzette with a good tablespoon each of the reduced tomato paste. 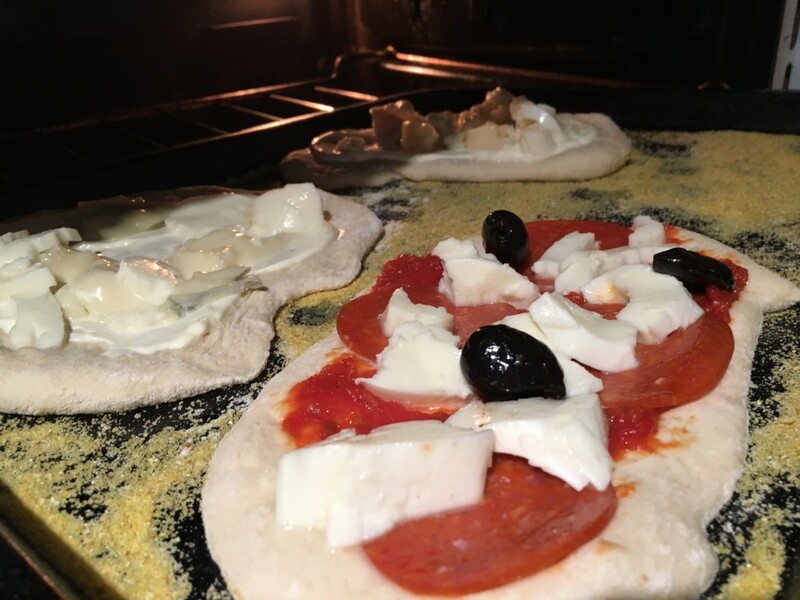 Arrange the mozzarella on top and scatter over a few black olives. For the white pizzette, spread the remaining pizzette with a tablespoon each of crème fraiche. Dot over the gorgonzola and sliced mozzarella. Bake the pizzette in the oven for about 12-15 minutes until the dough is turning golden brown. 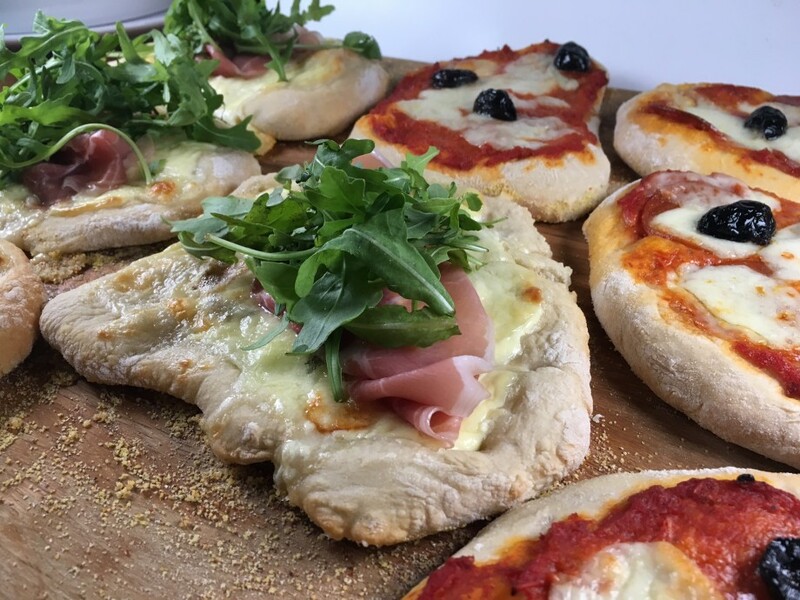 Drape the parma ham over each of the white pizzetta and top with rocket. Serve immediately.